Richard Lambert is chairman of the Fair Education Alliance as well as the British Museum and Bloomsbury Publishing. He spent most of his career at the Financial Times, which he joined after reading history at Balliol College, Oxford. He was editor of the Lex column, became New York bureau chief, and thereafter deputy editor. He was editor of the paper from 1991 to 2001. After leaving the FT, he wrote the Lambert Review of Business/University Collaboration for the Government, and was Chancellor of the University of Warwick. He was an independent member of the Bank of England's Monetary Policy Committee from 2003 to 2006, and served as director general of the Confederation of British Industry from 2006 to 2011. 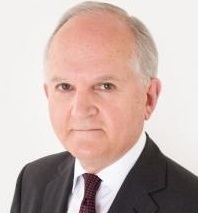 He has also served as the senior independent member of the Foreign and Commonwealth Office's Supervisory Board, and as chairman of the Banking Standards Review Council, tasked with raising standards of competence and behaviour in the banking industry. In 2011 he was knighted for services to business. Dame Julia Cleverdon DCVO, CBE is a passionate and practical campaigner who has gained an international reputation for 'connecting the unconnected', inspiring individuals and organisations to work together for the common good. Dame Julia was appointed to chair the National Literacy Trust in 2013 and chairs Read on. Get on., the national campaign to ensure all children are reading well be the age of 11 so that by 2025 all children in the UK will start secondary school as confident readers. Following her 2012 government review on increasing young people's engagement in social action Julia co-founded the Campaign for Youth Social Action, now known as Step Up To Serve, which was convened by HRH The Prince of Wales and launched with the support of three party leaders in November 2013. She is now a trustee of Step Up To Serve, which by 2020 aims to get 60 percent of young people involved in practical action in the service of others. Julia is also a board member of National Citizen Service, the Careers and Enterprise Company and the UK Holocaust Memorial Foundation. She is an external adviser to Carillion's Sustainability Advisory Committee and, until recently, chaired the advisory board of the Newnham College Campaign. Professor Sonia Blandford is Founder and CEO of Achievement for All and one of the UK's leading practitioners of education. Sonia is passionate about raising the aspirations and improving the attainment of all children and young people regardless of their background or need. She was named this year in Debrett's list of the Top 500 Most Influential People in the UK. Prof. Blandford is currently Professor of Education and Social Enterprise at the London Centre for Leadership in Learning at the Institute of Education, and Honorary Professor of Education, University of Warwick. She has published over 150 articles, columns and books on educational leadership, special educational needs, teaching and learning, professional development and music education. Sonia is an advisor to the UK government, European Commission and several international governments. She has two Masters (music and education), and was among the first to complete the UK inaugural Doctor of Education (EdD) programme at the University of Bristol. She went on to become Pro-Vice Chancellor and Dean of Education at Canterbury Christchurch University. Sonia began her career as a music teacher and has worked in primary and secondary schools across the UK. She has been actively involved in creating and sustaining 7 charities that continue to provide educational, social and artistic opportunities for local and national communities including The Corsham Windband Association (1981 - Founder), Teach First (2002 - Founding Ambassador), and National Orchestra for All (2011 - Founding Adviser). Nick Nick Haisman-Smith is the Director and Co-Founder of the Institute for Social and Emotional Learning, a social enterprise that works internationally to empower educators, young people and parents to transform their schools into caring, inclusive communities. He is a former teacher, teacher educator and is also a doctoral researcher at the University of Bristol where he specializes in policy and implementation issues relating to social and emotional learning (SEL) in educational settings. Nick is also a Teach First Ambassador ’03. He has been part of the FEA since its founding, and he chaired the IG3 working group on character, emotional wellbeing and mental health from 2015-2017. Richard Hardie is a Senior Adviser to UBS AG in the UK. Richard co-led UBS’s project to set up The Bridge Academy, Hackney, an independent state school for 1,150 students aged 11–19, which opened in 2007. Richard is the Vice-Chair of Governors. In 2003 he joined the Board of The Learning Trust, Hackney’s then education provider and the only not-for-profit independent Local Education Authority in the UK, and became Chair in 2007. The Trust’s mandate was completed in 2012. He is the Business representative on Hackney's Community Strategy Partnership Board. Richard was named HRH The Prince of Wales’ Business in the Community Ambassador for London for 2007. He is an Ambassador for the Careers and Enterprise Company and for Enabling Enterprise. He is an Honorary Vice-President of the UK Chartered Institute of Linguists and is actively involved in policy matters relating to the teaching of modern foreign languages. He chaired the 'Born Global' MFL research project (on behalf of the British Academy for the Humanities and Social Sciences). He is a Director of the London Symphony Orchestra and an Honorary Fellow of Lincoln College, Oxford. Steven McIntosh is the ‎Director of UK Poverty Policy, Advocacy and Campaigns at Save the Children. He was previously Head of Government Relations for Save the Children's UK programme which is focused on tackling child poverty in the UK. Before joining Save the Children he worked in policy and public affairs at Carers UK. Russell Hobby is CEO of Teach First, a founding member of the FEA. Russell was previously general secretary of the National Association of Head Teachers (NAHT). Prior to this, he worked as a management consultant and in the software industry. Russell is also a trustee of The Brilliant Club, Teaching Leaders and the Teacher Development Trust. He is a member of the advisory board of Future Leaders, the management board for NAHT Edge and the Independent State School Partnership forum. Brett Wigdortzled Teach First as its CEO since its launch in July 2002 until October 2017. He wrote the original business plan for the charity while working as a management consultant at McKinsey & Company, then took what was originally planned as a six month leave of absence in February 2002 to develop and build support for the idea. Previously he worked as a consultant, a journalist and researcher. He is originally from New Jersey and has an Honours Bachelors degree in Economics from the University of Richmond and a Masters degree in Economics from the University of Hawaii. As well as the advisory boards of the Educational Endowment Fund and STIR, Brett was a member of Teacher Standards Review Board. In 2007 he was named the UK Ernst & Young Social Entrepreneur of the Year and was awarded the 2010 CASE European Leadership Award and the 2013 UK Charity Principal of the Year Award. He was awarded an OBE in the 2013 Queen’s New Year’s Honours list for Services to Education. His book, Success Against the Odds, a candid account of the first ten years of Teach First, was named WHSmith’s Business Book of the Month.